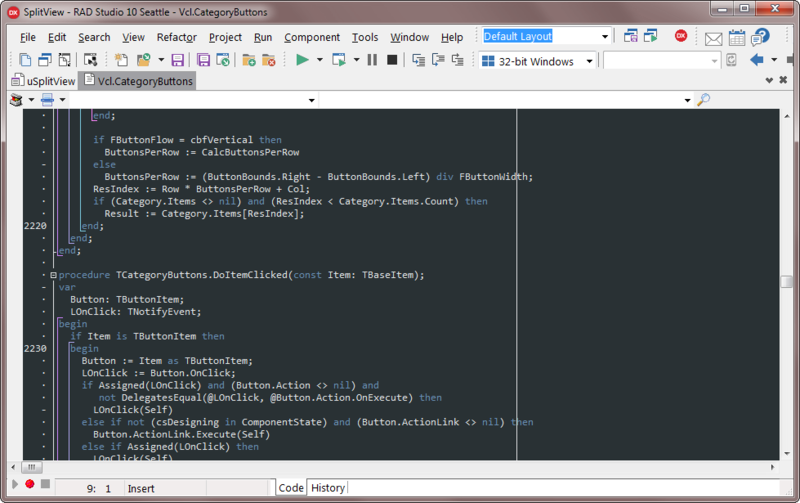 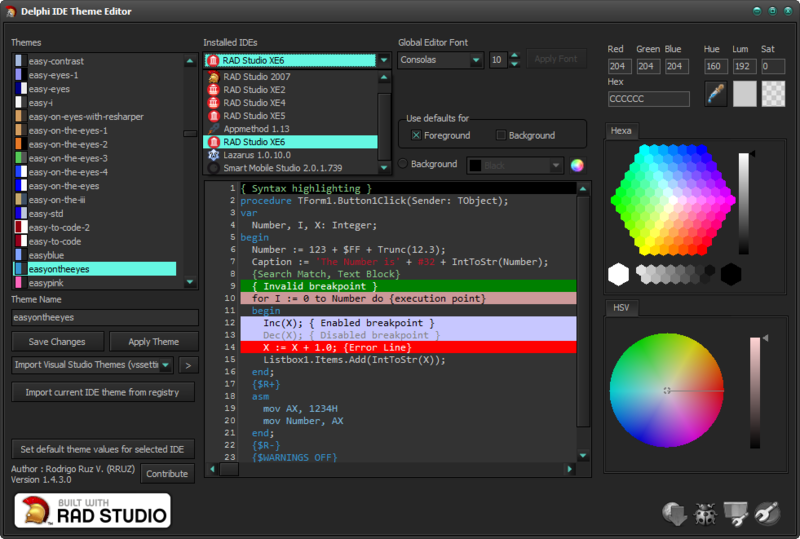 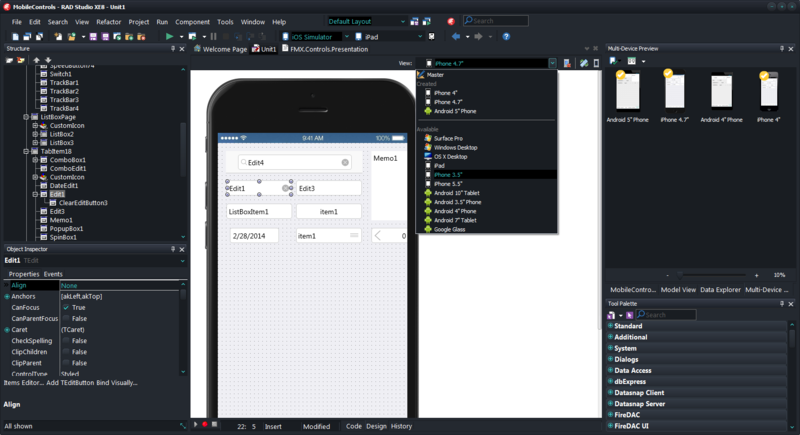 I just updated the Delphi IDE Theme Editor adding support for RAD Studio 10 Seattle. 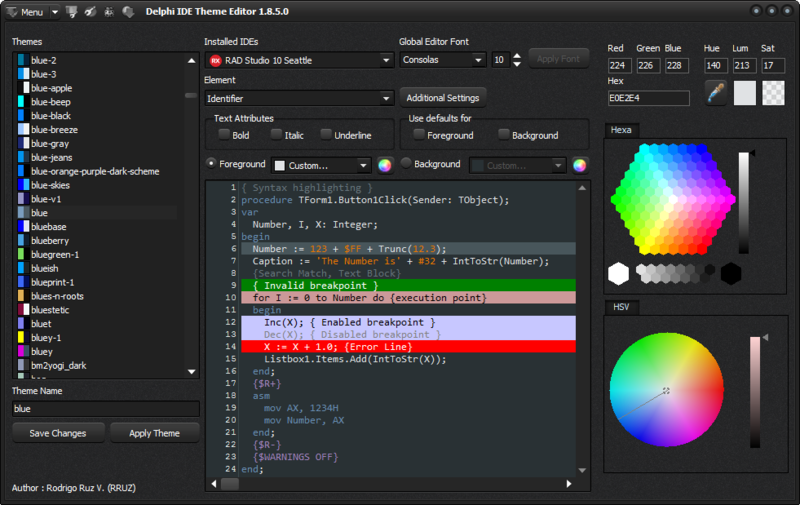 Remember which starting with Delphi XE8, DITE allows you edit the values (color and font) of the IDE modern theme. 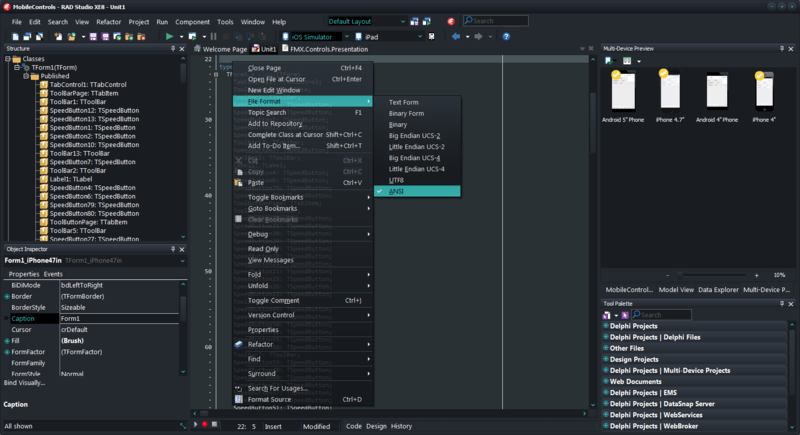 To use it just press the button “Additional Settings” and set values for the Main ToolBar and the IDE Font, finally press the button “Apply”. 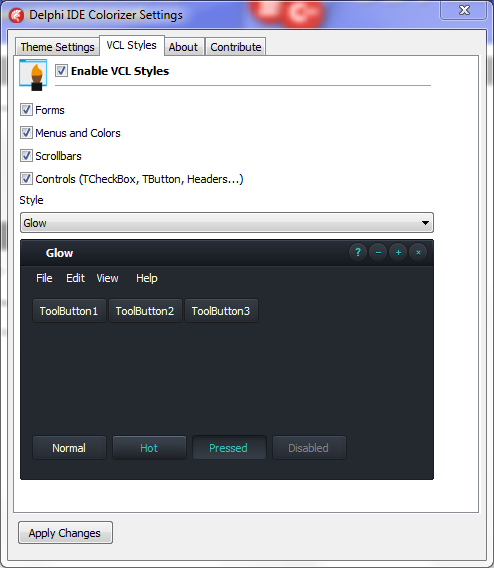 Also you can restore the default settings pressing the button “Restore”. 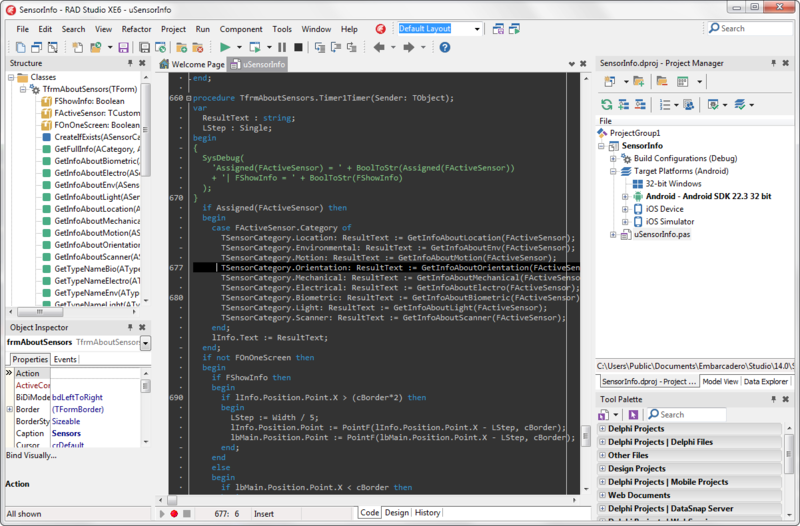 Categories: Delphi | Tags: Delphi, Delphi 10 Seattle, DITE, RAD Studio, tools | Permalink. 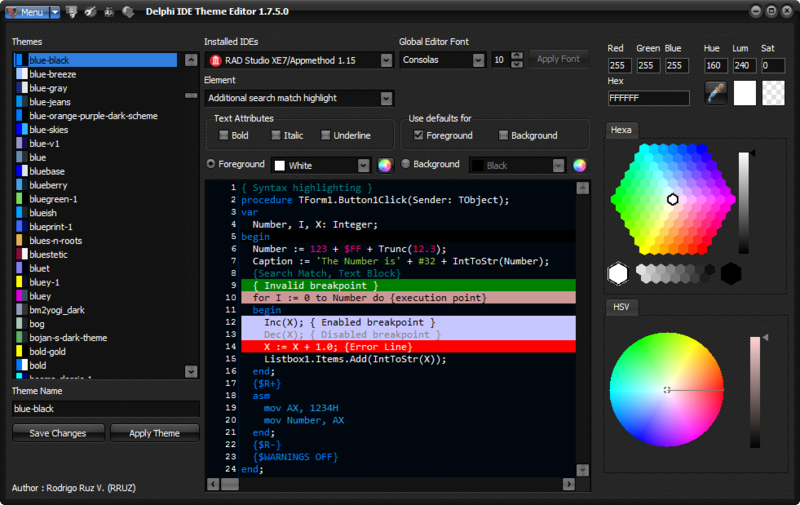 I just added support for Delphi (RAD Studio) XE6 to the Delphi IDE Theme Editor. 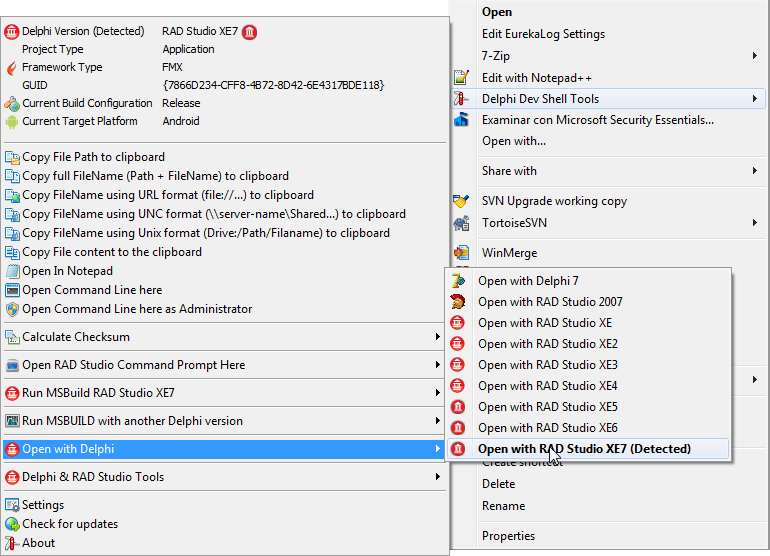 Categories: Delphi, Tools | Tags: Delphi, RAD Studio, tools | Permalink.